Australia captain Steve Smith was named ICC Cricketer of the Year for 2015 on Wednesday after scoring a world leading 1,734 runs at an average of 82.57 with seven centuries over the voting period. The 26-year-old right-hander kept the Sir Garfield Sobers Trophy in Australia for the third straight year after pace bowler Mitchell Johnson and his predecessor as skipper, Michael Clarke, won in 2014 and 2013. 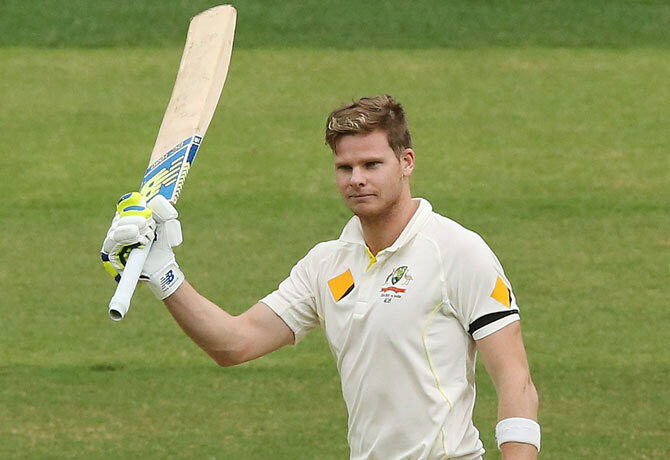 The Australian also scooped the ICC Test Cricketer of the Year award. Smith said- I'm obviously completely surprised by it. You don't think about these accolades, you just want to go out there and do the best you can for the team and try and win as many games as possible. South Africa batsman AB de Villiers was rated the best player in the one-day game, winning the award for the second successive year. De Villiers, South Africa's captain in the ODI format, also won the award in 2010.